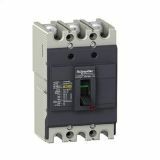 Automatic circuit beaker CVS100B with rated switching current between 70 and 100 A and an operating voltage of 440 VAC. 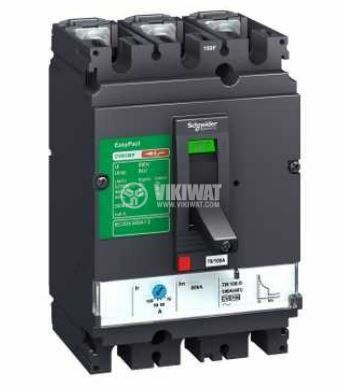 Circuit breakers of the CVS Schneider series are mainly suitable for use with AC 50 Hz / 60 Hz circuits with a rated voltage of 440 V.They ensure the protection of electrical installation in residential and industrial buildings of overload and short circuit. 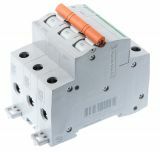 dimensions: 161 x 105 x 86 mm.